2. Heat olive oil. Brown meat pcs by batches. Put back all the meat in the same pan. 3. 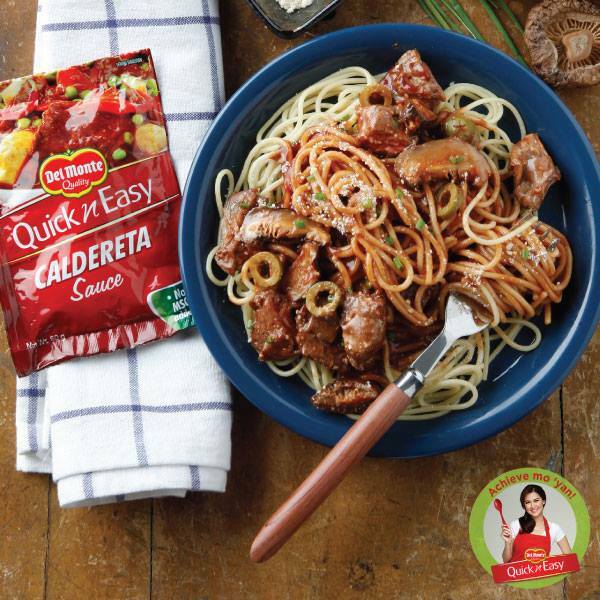 Add remaining marinade, DEL MONTE Quick N Easy Caldereta Sauce and water. Cover and simmer over low heat until the meat is tender (adding more water if needed), about 1 hour, stirring occasionally.